Just close your eyes for a minute, and try to do the simplest task like picking up your drink. Now imagine being blind or visually impaired all of the time. We rely on our eyesight so much, which is why it’s so important to get your eyes checked regularly. We can then monitor your eye health and help you to maintain the best vision possible. 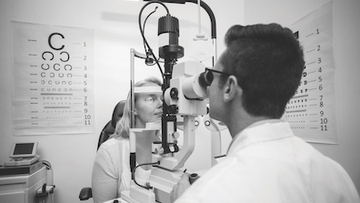 That’s why we’ve invested in the latest eye care technology and tailor our examination to each patient; ensuring that you can have full confidence in the results and our proposed eye care plan. OCT - Ocular Coherence Tomography - is an advanced eye scan, similar to ultrasound, that use light rather than soundwaves to illustrate the different layers that make up the back of your eye. Basically it take two images at the same time - a digital photography and a 3D cross section - allowing your optician to instantly diagnose a number of common conditions. This completely painless and highly advanced screening system can detect even the most subtle of changes to the retina and provides an invaluable ongoing record of the health and condition of your eyes. Regular OCT screening can identify conditions including age-related macular degeneration, diabetes, glaucoma, macular holes and vitreous detachments. Your optician will fully explain the results of your exam and all recommendations will take into account your personal lifestyle, work environment and leisure pursuits, so that we can meet your visual needs in the best possible way. Your eye exam will usually last about 30 mins, however if you need any extra specific tests we will advise how long these might take. Your optician will carry out your tailored examination thoroughly but if you have any questions along the way don’t hesitate to ask. Our aim is for you to be as informed and relaxed as possible throughout your visit. As well as including all tests to check for your sight and to see if any vision correction is required (e.g. spectacles, contact lenses) we will also check for any potential eye disease like glaucoma, cataracts or macular degeneration to name just a few. Included as standard in your exam will be photographs taken by our digital retinal camera. This allows us to see inside your eyes so even small abnormalities can be detected, recorded and compared in future checks. Combining this with our modern examination techniques means we can ensure everything possible is done to prevent unnecessary deterioration to your sight and eye health. Aged 40 years or over with an immediate relative with glaucoma: Every year. WHAT IS THE PRICE OF AN EYE TEST? Our standard eye test is £30. Premium site test including OCT is £50. 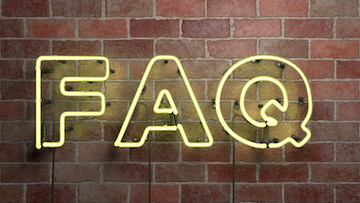 If you have any queries or questions relating to eye examinations or related issues please check out our FAQs section or give us a call - we’re always happy to help!